Regardless of who you are or what kind of job you have, the fact is that we all experience stress at some point in our lives. And unfortunately, for many of us, stress and anxiety feels like it’s a part of everyday life. I’m sure I don’t need to tell you the importance of getting your stress levels under control. 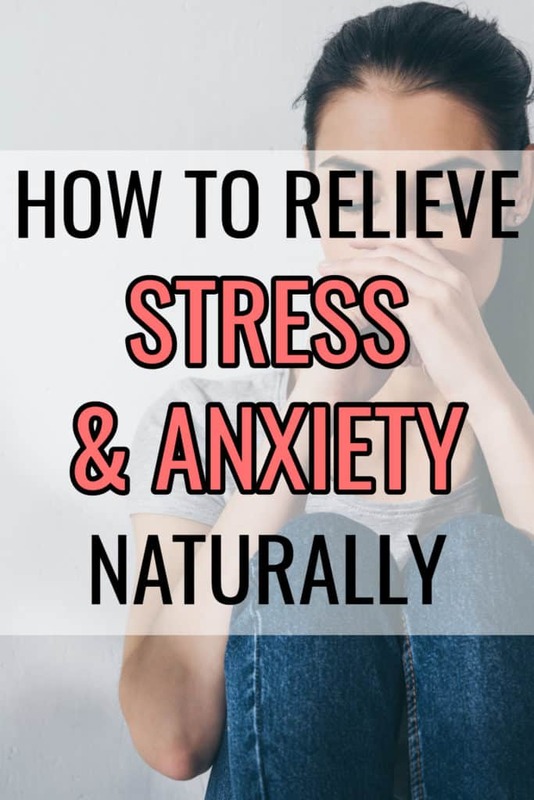 I mean, we all know it just FEELS bad when you’re stressed, but chronic stress can also lead to a number of health conditions like heart disease, anxiety, depression, asthma, high blood pressure, to name a few. Want to know my favorite stress relief secret? I love it because it takes just 7 minutes per day, and it helps to release the stress that builds up each day, break the trains of overthinking (are you an overthinker like me?) and welcomes in clarity. The sessions last for just 7 minutes and combine guided mindfulness, imagination prompts and ultra-relaxation music and best of all, they can be done anywhere. If you’re feeling extremely stressed at work, just close your office door or go to your car for 7 minutes and recharge. Click here to learn more about 7-minute mindfulness here. In addition to 7 minute mindfulness, here are 10 other home remedies for stress relief. Valerian root has long been used as herbal remedy for stress relief, and scientific research has also indicated that valerian root can be effective in reducing systolic blood pressure and mental stress. Valerian root is also an incredibly effective sleep aid, and can help to reduce muscle pain. Studies suggest that for valerian root to be most effective at reducing stress and anxiety, a dose of 120-200mg should be taken three times per day at mealtimes. The most convenient way to do this would be in the form of a valerian root liquid herbal tincture. Theanine is amino acid found in green tea, and is known for it’s stress and anxiety-reducing effects. According to the Journal of Physiological Anthropology, caffeine and theanine, both of which are found in green tea, have beneficial effects on mood and cognition. Theanine can be taken in a capsule form, or a powder form. Alternatively, you can buy a high quality green tea like Prince of Peace Organic Green Tea and reap the benefits of both theanine and a small amount of caffeine. A regular yoga practice can have an amazing effect on your stress levels, amongst many other health benefits. According to the Mayo Clinic, there have been numerous studies that have shown yoga has positive effects on the mood and overall sense of well-being, and can be effective way to reduce stress and anxiety. 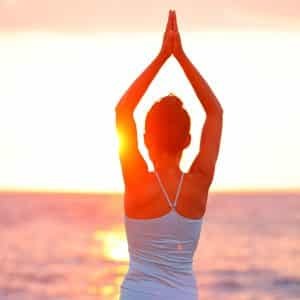 If there are factors that inhibit your ability to attend a yoga studio, you can receive many of the same benefits by starting a home yoga practice. Melatonin is a hormone that is naturally produced by the pineal gland in the brain, and is responsible for control our sleep cycles. We all know how much sleep deprivation can affect our mood, and studies have proven the link between a lack of sleep and stress. Because the two are interconnected, taking a melatonin supplement may help to improve sleep patterns and thus decrease stress. 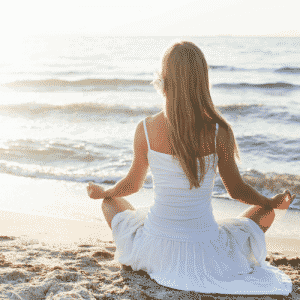 Meditation is a simple, free way to reduce stress that anyone can do. And the good news is, you don’t have to spend hours in a meditative state to reap the benefits. Even just a few minutes of mediation per day can help to reduce stress and relieve anxiety and tension. B vitamins are essential for a healthy, stress-free mind and staying energized throughout the day. And because B vitamins are water soluble, they must be replaced on a daily basis. If you’re eating a healthy, balanced diet, you’re probably getting all the B vitamins you need. However, those who follow a strict vegan diet may find themselves lacking in B-vitamins and my benefit from taking a vitamin-b12 supplement, and eating foods that have been fortified with vitamin b12. 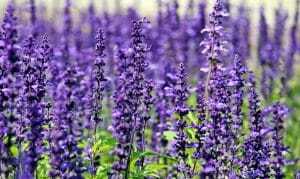 Lavender is one of the most common essential oils, due in part to it’s calming and relaxing properties. Diffusing lavender essential oil, putting a few drops of lavender in an essential oil necklace, adding 5 drops to your bath water, or putting a few drops of lavender on your pillow before bed can have a wonderfully calming effect and help you get a better night’s sleep. Chamomile is one of the most widely used and loved herbs, and has long been known for it’s calming effects and ability to reduce stress and anxiety. Additionally, chamomile is known to boost immunity, promote better sleep, alleviate insomnia, and reduce period pain, amongst various other health benefits. The most common way to reap the benefits of chamomile is to sip on chamomile tea, like Choice Organic Fair Trade Chamomile Tea. Spending at least 30 minutes per day exercising can dramatically reduce your stress levels. When you engage in physical activity, the brain releases endorphins. Endorphins are the bodies natural painkillers, and also help you get a good night’s sleep, which helps to reduce stress. And studies have repeatedly shown that spending time outdoors has positive effects on the mood and helps to reduce stress and anxiety. 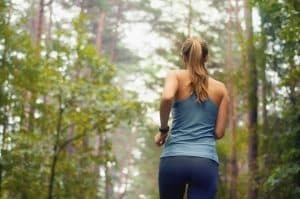 A short, brisk walk in the morning, an evening stroll after work or even eating lunch under the trees can all give you a mood boost and relieve stress. Welcome to Namaste Nourished! I'm Ashli! I'm a health nut who loves cooking healthy recipes (with some occasional treats thrown in - you only live once!) spending time outdoors with my husband and son, and snuggling up on the couch with my chihuahua to binge-watch reality tv.